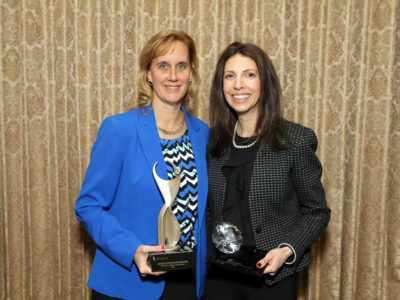 MELVILLE, NY, January 17, 2019 – KPMG LLP and ATHENA International today announced Jane Duggan, senior vice president, Commercial Regional Group Manager Suburban NY Middle Market, Not-For-Profit Lending, TD Bank, and Stephanie Espina, director of Freshman Admissions, Adelphi University, have been awarded Long Island’s seventh annual ATHENA Leadership and Young Professional Leadership awards, respectively. 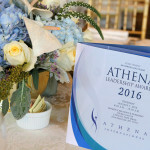 The ATHENA awards recognize exemplary women leaders who have achieved excellence in their business or profession, served the community in a meaningful way, and actively assisted women to achieve their full-leadership potential. Duggan and Espina received the honors January 17 at a breakfast ceremony at the Mansion at Oyster Bay attended by Long Island business and community leaders. 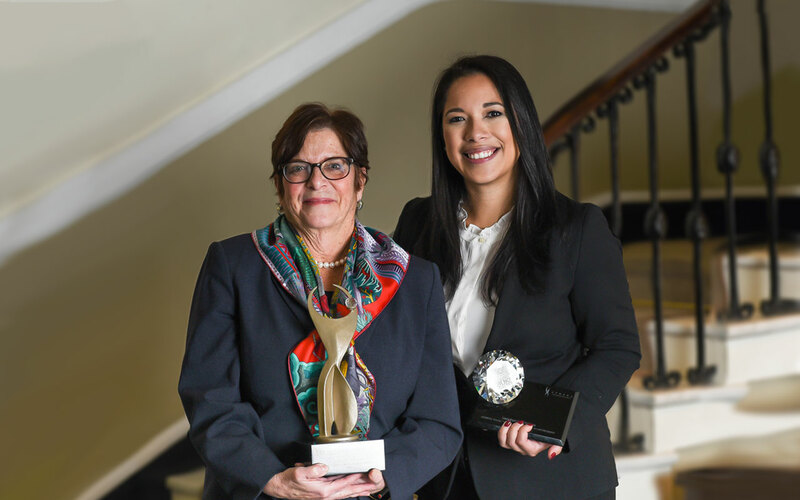 In addition to Duggan, other finalists for the ATHENA Leadership award were: Jennifer Cona, managing partner, Genser Cona Elder Law, and Karen Tenenbaum founder, managing partner, and tax attorney at Tenenbaum Law, P.C. 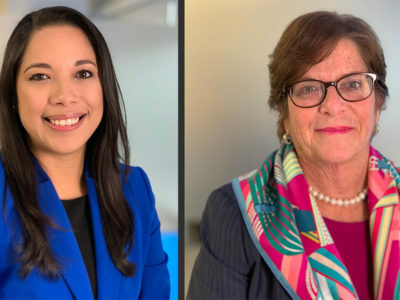 Other finalists for the ATHENA Young Professional Leadership award were: Nicole Giammarinaro, director, Education & Research – Corporate Office of Patient & Customer Experience, Northwell Health, and Elizabeth Pavacic, Project Manager at Hedgehog Development, LLC. The keynote speaker was Dr. Jennifer H. Mieres, a leading expert in the fields of nuclear cardiology, cardiovascular disease in women and patient-centered healthcare advocacy. 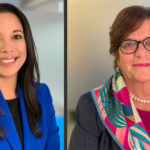 Mieres, senior vice president, Northwell Health’s Center for Equity of Care, oversees the Katz Institute for Women’s Health, focuses on eliminating health and gender disparities. 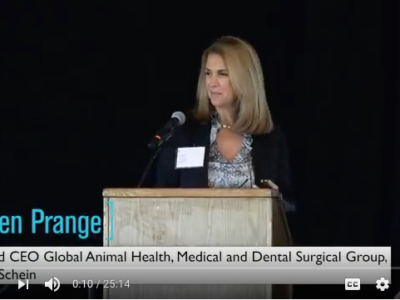 A leading advocate for patient-centered healthcare and medical education reform, Mieres’ current research is focused on cardiovascular disease in women. The ceremony was hosted by the Long Island Athena Selection Committee and lead sponsor KPMG LLP. Participating sponsors included Broadridge, Farrell Fritz, Henry Schein, the Nature’s Bounty Co., Northwell Health, 1800flowers.com, and Estee Lauder Companies. Senior mentor in the LEAD Employee Development Program, co-lead of the Women in Leadership Program. ATHENA Young Professional Leadership Award – Stephanie Espina, director, Freshman Admissions, Adelphi University.